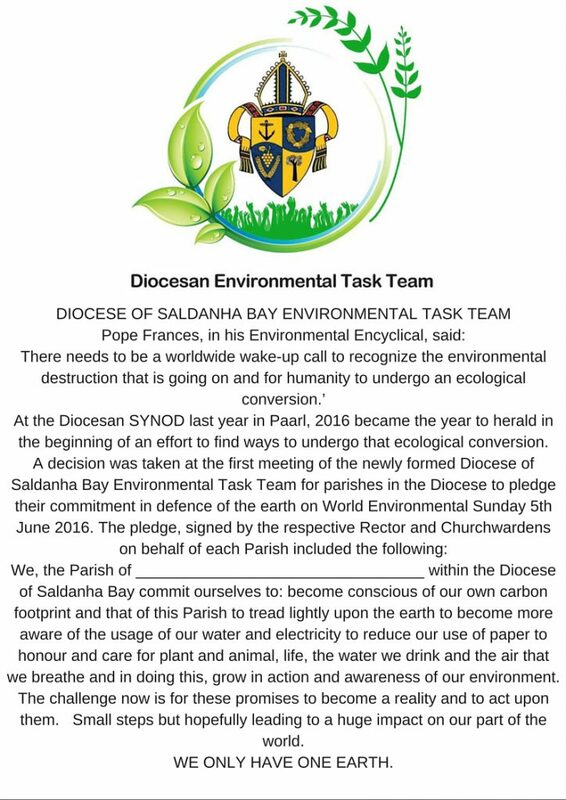 On World Environmental Day, the Diocese of Saldanha Bay sent out pledge forms to their parish’s to sign up on being agents of change for our environment. In a form of a certificate the parish’s are required to fill in their details and commit to care for creation. The Diocesan Environmental task team put this together in commemoration of World Environmental Day, however it will be a reminder daily on the responsibility God gave to us to look after his creation.